One of the most popular detailing products is of course the car wash soap. It is an essential when washing your car and has been specifically developed to be pH neutral and safely removed dirt and grime from your paintwork. The best car wash soap is the Meguiar’s G7101FFP Gold Class Car Shampoo that is designed to both clean and condition without stripping wax from the paintwork. Using the appropriate car wash soap that is not abrasive and does not strip the wax on your paintwork will save hours of hard work. Many people make the mistake of using a cheap soap or washing up liquid, which will strip previous products used. Many brands will include a wax within the formula to provide a greater protection. This is great for those that don’t have time to detail their cars but you will have to pay slightly more for the privileged. Its worth noting that a car wash and wax soap will provide some protection but not as much as a true car wax would when applied. If you have limited access to a hose pipe for spraying the soap off the car, we highly recommend that you look at a waterless car wash solution instead. This product simply sprays onto the paintwork and wipes clear without any water. Investing into a quality shampoo for your car that lasts and provides a shine every time is a worthwhile investment. Below is a list of the best car wash soaps that safely remove dirt and grime without stripping the wax from your paintwork. Meguiar’s Gold Class car wash formula is one of the best for getting your car looking clean and shiny. It contains ingredients not only to clean your car, but to condition the paintwork finish as well. It works with your wax instead of against it, so you can remove any dirt and debris that may have accumulated on your car without compromising the beautiful shine and color you’ve previously applied. This car wash soap is very easy to use and doesn’t leave a residue after use the way some less advanced car wash solutions might. It foams very nicely on your car and leaves a pleasant scent behind after you are finished washing. Meguiar’s Gold Class can be used in either a bucket or a foam cannon to suit your preferences, and it is biodegradable as well. Overall, it is the best car wash soap and offers great value for money. The Meguiar’s Gold Class also benefits from various sizes and bulk options for additional savings. The Chemical Guys Maxi Suds II formula is the strongest car wash soap for the most effective clean results. This brand is known for their range of car wash products, and this version does not disappoint. It comes in three different scents, which include cherry, grape, and strawberry margarita, which make washing your car a very pleasant experience. It has a very strong foam that removes dirt and debris very easily, but it does not interfere with any wax you may have put on the car. The formula also contains water softeners, so you don’t have to worry about water spots, streaks, or residue after you are finished washing your car. Despite what the brand name might have you think, it’s actually made with natural ingredients that are gentle for both you and for the environment. The Chemical Guys Maxi Suds II works with many different washing methods and is excellent for cleaning any type of car from black to white. The Ultimate Wash and Wax is another great product from the Meguiar’s brand. This one is specifically designed to clean and wax your car in one easy step. This makes it a good option for those who don’t have much time and want to get their car looking great and protected quickly. This car wash and wax soap is a sudsy formula that cleans and lifts dirt and debris away from the car. The formula also contains carnuba wax and synthetic polymers, which leaves a beautiful shine and intense color on your car. Another great benefit of this car wash soap is that its pH balanced, so it doesn’t strip away the wax and protects the paint on your car after it dries. It has a very pleasant smell, and you don’t need much of it either, so it will last for a long time. The Meguiar’s Ultimate Wash and Wax is the best car wash and wax soap and the best alternatives to the Gold Class for those wanting the waxing feature. Adam’s Car Wash Shampoo is a car wash soap that is pH neutral and is safe to use on any vehicle surface because of its gentle formula. It has very thick suds and effectively removes dirt and grime from the car. It can be used with many different car washing methods and it naturally provides some lubrication for your paint job, even after you’ve washed away the suds. For those that want bang for your buck, Adam’s Polishes even offer this car wash soap in 800 oz bottles, which can be used for hundreds of washes. You can use it in direct sunlight and it doesn’t streak or leave spots and leave a pleasant berry scent that smells great. Although it is slightly on the expensive side compared to its competition, it is definitely one of the best and a car wash soap for detailing enthusiasts. The Mothers California Gold Carnuba Wash & Wax is another excellent option if you prefer to wash and wax your car all in one go. This car wash soap is affordable and comes in a huge bottle, so you really get your money’s worth. The formula contains high quality carnuba wax to leave your car shiny and bright, as well as biodegradable and pH neutral soap for effective cleansing. It doesn’t leave any spots or other marks on your car, and it is very easy to use. The Mothers California Gold Carnuba Wash & Wax is ideal for any car owner on a budget and looking for great value with a wash and wax style car wash soap. To keep your car looking great, you’ll need to wash it on a regular basis. The best way to really get all the grime and dirt off while maintaining your paint and wax job is to do it yourself. However, if you’re going to wash your car on your own, you need to ensure that you have a soap that is effective and safe for your car. There are many different soaps on the market to choose from, which can be overwhelming, particularly if you’re washing your car on your own for the first time. Here’s what you should look for when purchasing car wash soap for your vehicle. Of course, a good car wash soap has to be able to effectively clean your vehicle. If your car wash soap doesn’t get the dirt and grime off your car’s surfaces in just a few swipes, it’s going to be very frustrating to use. However, when it comes to the wheels, we strongly recommend using a wheel cleaner to remove the tough dirt and brake dust. The main reason is because it will be far more effective but on top of this, the tough dirt can remain on the car wash mitt and transfer onto the paintwork when you return to washing. Most car washes have ingredients in their formula that will keep your car looking clean and shiny. Look at the breakdown of the soap formula to see what sort of conditioner is included in the product. A good soap should leave your car shiny and brighten up the color a bit, even without wax included. Ideally, it should also leave a protective layer that will prevent your car from getting dirty quickly again. If you like to wax your car, you will need a soap that doesn’t take the wax off of your car as you are cleaning. A good car soap will work with a wax instead of taking off the beautiful shine that you’ve already worked so hard to apply. A reliable indicator that a soap will be safe to use with a wax is if it is labeled as being pH neutral. Many car wash soaps actually contain wax in them as well, so you can get your car clean and shiny all in one go. These types of soaps are the perfect option for car enthusiasts who don’t have much time to spend on maintenance. A wax not only makes the finish of your car look beautiful, but it also protects your paint job and keeps you car clean for a longer period of time. Since you will be washing your car outside, it’s important to look for a soap that is biodegradable. This means that the ingredients in the soap will naturally break down and absorb into the earth, instead of harming any plants or animals that are outside. A biodegradable soap also won’t create any outdoor waste. If you are particularly concerned about the safety of your soap, look for a product that is made using natural ingredients. Everyone has their own preferred method for washing their car. Some people like to hand wash it using a bucket and soap, while others prefer to use a foam gun or a pressure washer for a more powerful, efficient wash.
You also may want to spot clean your car every so often to remove small areas of dirt and debris. Before purchasing your car soap, make sure it is a formula that can work with your chosen car wash method for efficiency. The size of the soap bottle is something else to consider when making your final shopping decision. The larger the bottle, the more value you will get for the price. It is convenient to find a bottle that contains several washes in one. You should also note the strength and concentration of the soap and consider how much you are going to need for one wash. A very concentrated wash will allow you to get the best value possible. Most car wash solutions have a smell to make the car wash experience more pleasant. Smell is a very personal preference, so it’s helpful to note the smell of the car wash before making your purchase. Some soaps even come in a few different aromas to choose from. The smell of the car wash will not only make washing your car more fun, but some soaps also leave a lingering smell that you might notice when you’re around your car. Most car soaps have a fruity scent or a clean, laundry-like scent. 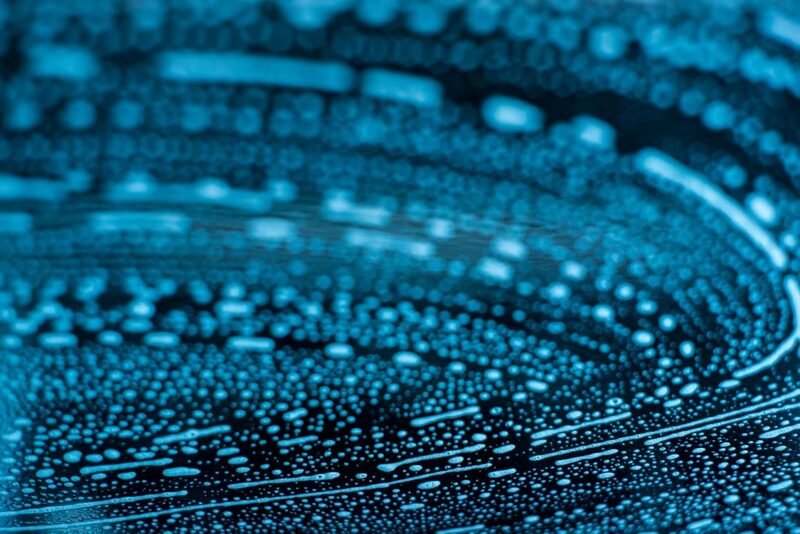 Another factor to consider when shopping for car wash soap is lubricity. This is how slippery the car soap is. A slippery soap is much easier to use, because it spreads out easily and covers the surface of your car, making for more effective cleaning. A slippery soap will also help the dirt and debris slide right off of the car, so you won’t have to spend any extra time scrubbing away at the car. Of course, you will always want your car to have a beautiful, streak-free finish with no extra marks. The soap that you choose should wash off cleanly, without leaving streak marks or spots on your vehicle. Ideally, the soap should be usable on all different types of surfaces so you can clean your entire car without leaving marks. The soap should also work well in all different types of weather. Some car wash soaps are much more likely to streak on a hot, sunny day. Since washing your car on a warm day is going to be more pleasurable than doing it on a cold or rainy day, it’s important that your car wash is appropriate for use in all temperatures. All of the recommendations in this article aim to provide streak-free results when using a high quality car drying towel for the best finish. Your car soap should be very easy to mix up and use. Look at the instructions section on the bottle of the soap to see the mixing method they recommend. You will usually just need to add a bit of water to the soap and then you will be able to start washing right away. The easier your soap is to use, the more likely you will be to wash your car regularly. Washing your car at home gives you greater control over the way the finish of your car looks. 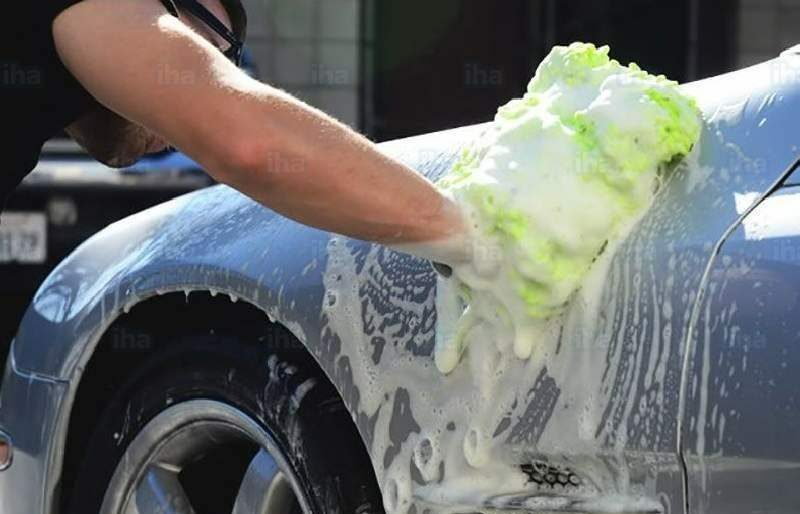 Investing in a good car wash soap will allow you to spot clean your car whenever you want, and do a full body car wash very economically, without paying to go to the drive through. When choosing a soap, you should look for options that are very effective and pleasant to use. Our options presented in this guide are the best choices for car enthusiasts. Use the factors described here to shop for your car soap and pick the best one for your needs. It may be tempting to make your own car wash soap but we highly recommend avoiding the hassle of it all and purchasing one of the recommendations. Risking damage to the paintwork with a home recipe is simply not worth it.